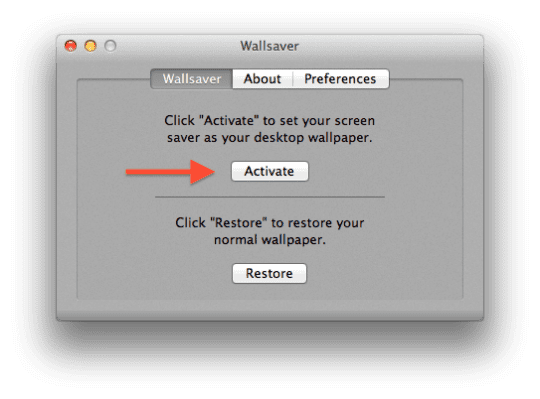 As a default, your screen saver is set up to trigger only when you have been away from your Mac for an extended period of time. 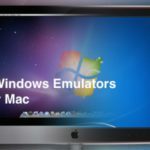 However, some Mac users like to use their screen savers as desktop wallpaper to view at all times, especially if the wallpaper contains pertinent information such as date, time, etc. This is possible to do using an application called Wallsaver. 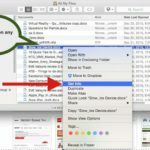 This simple application lets you use all of your Mac’s built-in screensavers, as well as custom screensavers, as your wallpaper. This application is free and can be downloaded here. 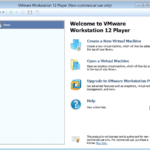 In this tutorial, we will be showing you how to set up and use Wallsaver. Before we start, make sure you download and install the latest version of Wallsaver. 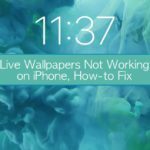 To start, download Wallsaver from the developer’s website. Once the download has completed, simply open the downloaded DMG (Wallsaver_2.x.x.dmg). 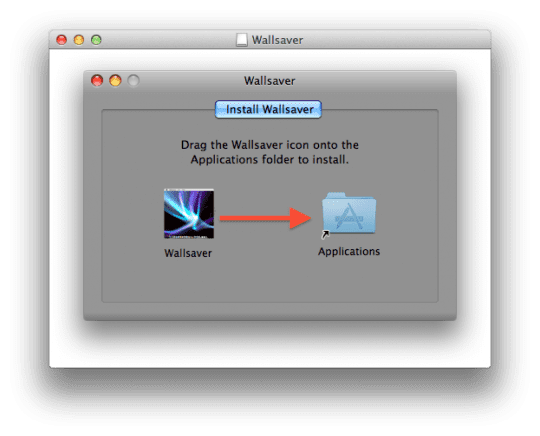 Once you do this, simply drag Wallsaver.app to your applications folder. 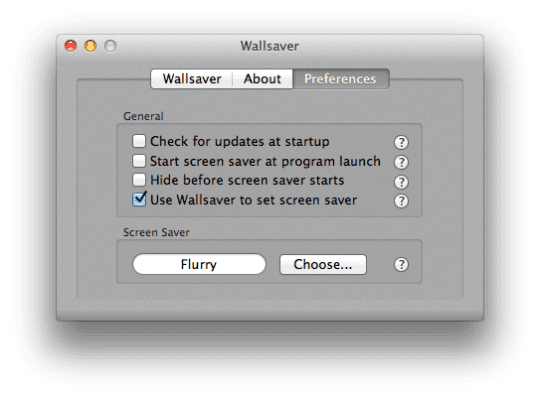 After you have installed Wallsaver, launch it. Once Wallsaver has completely launched, look towards the center of the window. You will see a button labeled Activate. Click on this button if you would like to use your already selected screensaver as your wallpaper. 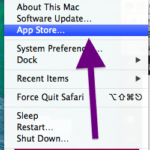 If you would like to customize Wallsaver, click on the Preferences tab. 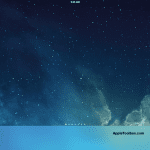 From here, you can change the screen saver that you would like to use. 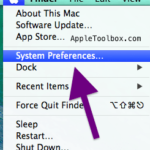 You can also choose from other miscellaneous options such as updating at startup, etc. Thanks for reading this tutorial. 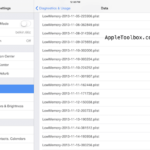 Check back to Apple Tool Box for your daily fix of Apple related content.